A nebulizer is a type of inhaler that sprays a fine, liquid mist of medication. This is done through a mask, using oxygen or air under pressure, or an ultrasonic machine (often used by persons who cannot use a metered-dose inhaler, such as infants and young children, and persons with severe asthma). A mouthpiece is connected to a machine via plastic tubing to deliver the medication. The medications used in nebulizers help by loosening the mucus in the lungs so it can be coughed out more easily, and by relaxing the airway muscles so that more air can move in and out of the lungs. Breathing the medication straight into the lungs works better and faster than taking the medication by mouth. 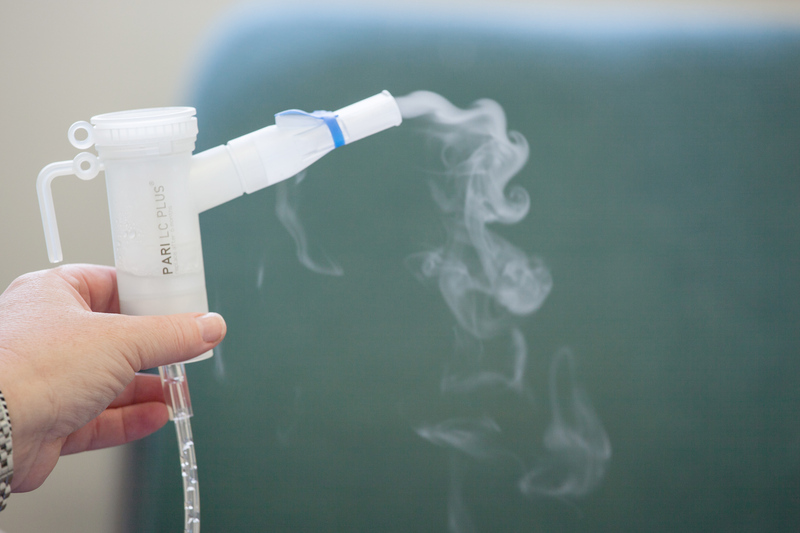 Nebulizer treatments take about 15 to 20 minutes to give the medication. 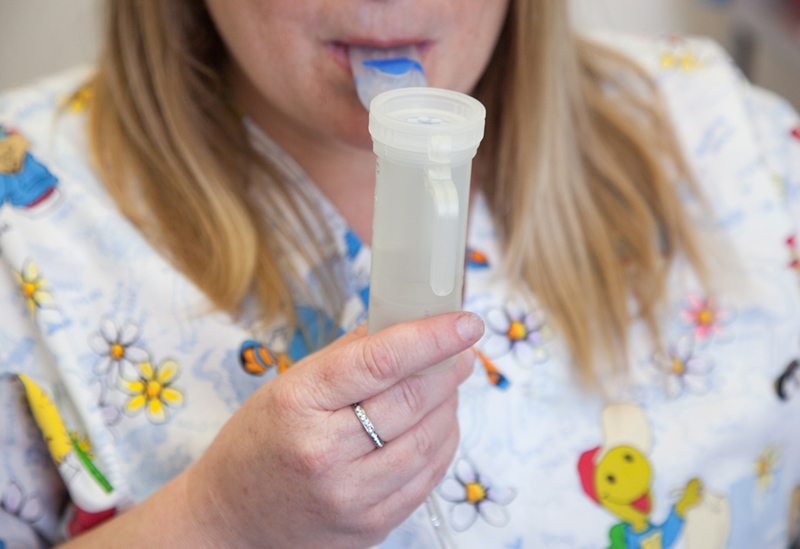 A nebulizer may be used to treat breathing problems. These include asthma and COPD (chronic obstructive pulmonary disease). A nebulizer can make inhaling medicines easier. It can be very helpful if it is hard for you to breathe or to use an inhaler. Nebulizer Treatments	Overall rating:	5	out of 5 based on 4	reviews.